A prince returns home and finds that his father is dead and the kingdom has been overrun by witches. Cast includes Luke Goss, Ed Speleers, Andrew Pleavin, Simon Thorp, Sarah Douglas, MyAnna Buring and Ian Virgo. Opposing parties seek the missing page of a sinister book in this adaptation of the H.P. Lovecraft tale. Cast includes Griff Furst, Sarah Lieving, Dean Stockwell (who also co-starred in the 1970 movie version), Jeffrey Combs, Natacha Itzel, Lauren Michele and Shirly Brener. 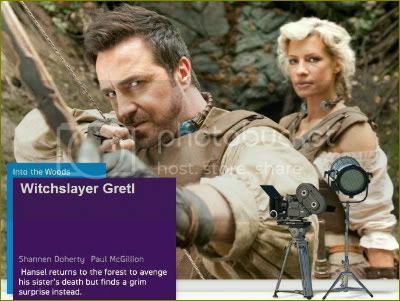 Twenty years after his encounter with the witch, a grown-up Hansel (Paul McGillion) returns to the haunted forest, seeking revenge. But there's a surprise waiting - his sister Gretel (Shannen Doherty) (who he thought had been killed) is the witch's protégé. 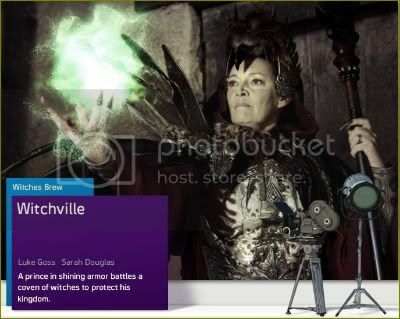 Cast includes Shannen Doherty, Stargate Atlantis' Paul McGillion, Sanctuary's Emilie Ullerup, John Boylan, Sarain Boylan, Jefferson Brown, Erica Cox and Marianthi Evans. The vampire genre is given a novel approach with lackluster results in this noir-ish horror film from the Australian filmmaking team of Michael and Peter Spierig. Existing in the near future, the picture hypothesizes a vampiric takeover of the Earth wherein the fanged population continues to go about their lives while humankind is drained of blood in order to keep the masses alive. The film’s most delectable bits come when the vamps go through withdrawal and transform into blood-thirsty monsters, hungry for sustenance from wherever they can get it -- including themselves. 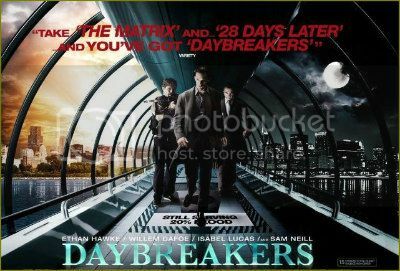 Cast includes Ethan Hawke, Willem Dafoe, Sam Neill, Claudia Karvan, Michael Dorman, Isabel Lucas and Vince Colosimo. Five years after a zombie virus decimated mankind, Alice (Milla Jovovich) still searches tirelessly for survivors in Los Angeles with the help of an old friend. But their rescue mission turns grim when Alice sees that the city has been overrun by zombies, and they quickly realize they've stumbled into a diabolical trap. 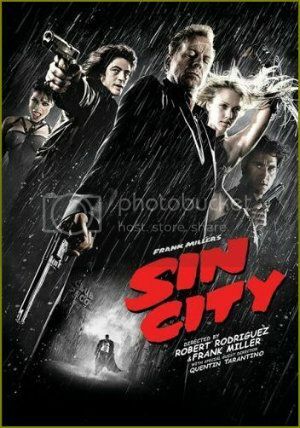 Cast includes Milla Jovovich, Ali Larter, Kim Coates, Shawn Roberts, Sergio Peris-Mencheta, Spencer Locke, Boris Kodjoe, Wentworth Miller, Sienna Guillory, Kacey Barnfield and Fulvio Cecere. Vengeful convict Milton (Nicolas Cage) breaks out of hell to save his granddaughter from being ritually sacrificed, and he receives help from a sympathetic waitress while being pursued by a ruthless cult leader, and one of Satan's most vicious minions. Cast includes Nicolas Cage, Amber Heard, William Fichtner, Billy Burke, David Morse, Todd Farmer, Christa Campbell, Charlotte Ross, Tom Atkins, Jack McGee, Katy Mixon and Pruitt Taylor Vince. 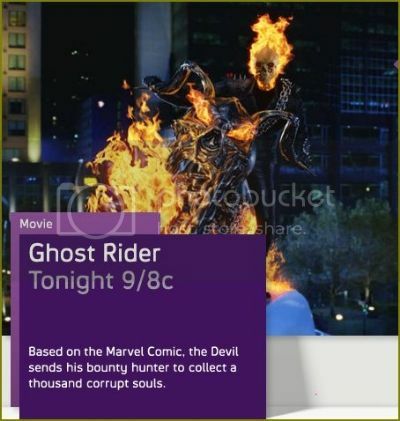 Nicolas Cage stars as daredevil biker Johnny Blaze, who sells his soul and becomes the devil's fiery-skulled bounty hunter, in this campy Marvel Comics adaptation. Cast includes Nicolas Cage, Sam Elliott, Eva Mendes, Brett Cullen, Peter Fonda, Donal Logue, Wes Bentley, Laurence Breuls, Daniel Frederiksen, Mathew Wilkinson, Kirstie Hutton, Gibson Nolte and David Roberts.